Anyhow, a travel adventure won't be complete without foodie adventures as well - because for us traveling should be the whole package - picturesque sights, great people and good eats! Prior to flying to Aussie, we all did our research via Trip Advisor and Lady Iron Chef, and listed out some recommendations from friends who visited Aussie ahead of us as well. This compilation includes a detailed list of restaurants we have to try, so yeah, we came very prepared! We figured we don't want to waste the chance of not being able to try good food and at the same time, we can get our money's worth on highly recommended eats as well. Of the long list, we only visited Hog's Breath Cafe. It was first stop on our list. And let me just say, two thumbs up for authentic Australian cuisine ala saloon style! I loved the details in the cute saloon, the servers were uber friendly and accommodating, and the food was delicious! 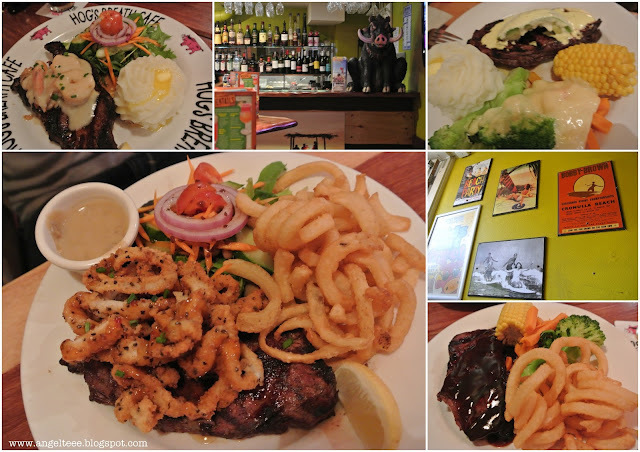 Price-wise, we spent around AUD 30-36 each for a meal comprising of a huge steak, chips (french fries), side dish (salad greens or steamed vegetables) and seafood (calamari, shimps). 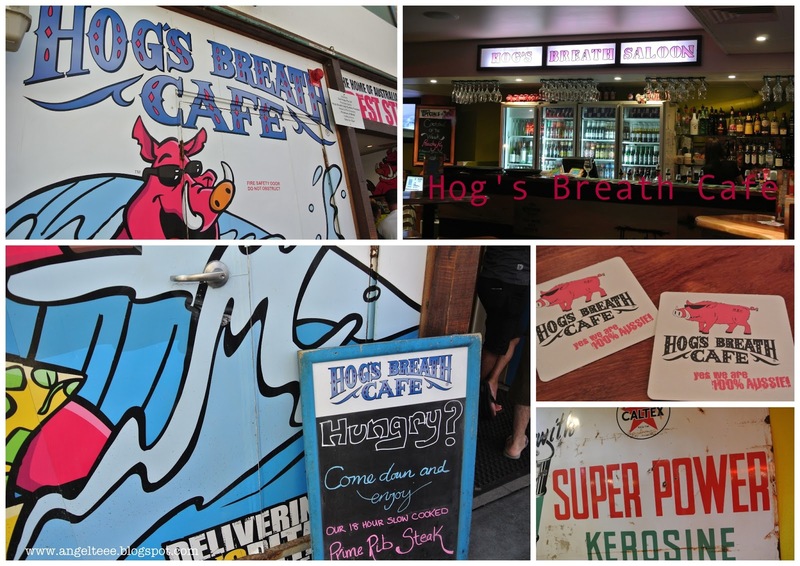 When around Surfers Paradise area, don't miss Hog's Breath Cafe! Hickory Smoked Prime Rib and Calamari Prime Rib. Next stop - dinner at Toscani's. 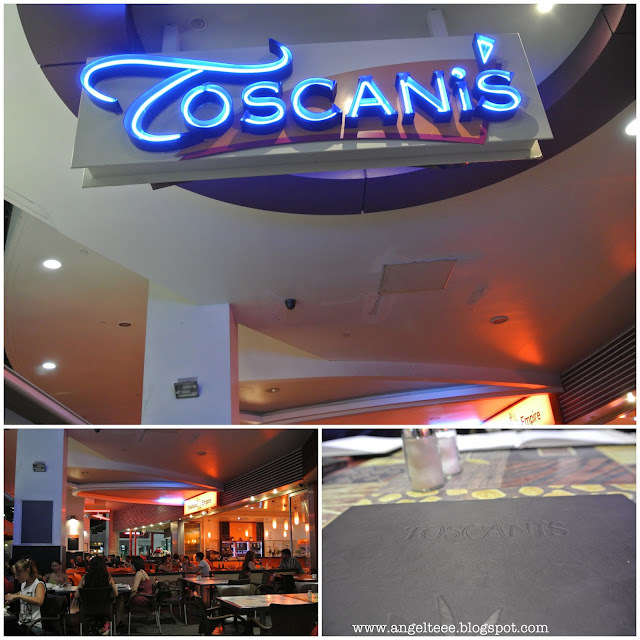 For some authentic Italian-lovin', Toscani's is the place to be! We just bumped across Toscani's while walking around Cavill Mall (where you can find tons of shops and restaurants) as the location is central in Surfers Paradise. 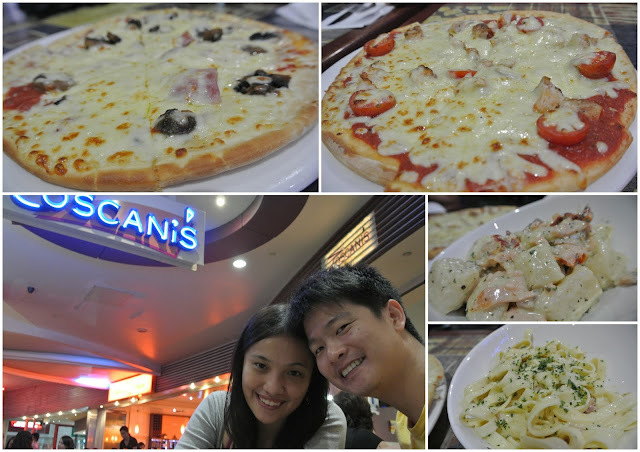 We spent around AUD 20 each for a couple of pizzas, and a couple of pasta choices which we shared among ourselves. Counter-clockwise from top left: Hearty Meat Pizza, Moroccan Chicken Pizza, Fettuccini Carbonara. 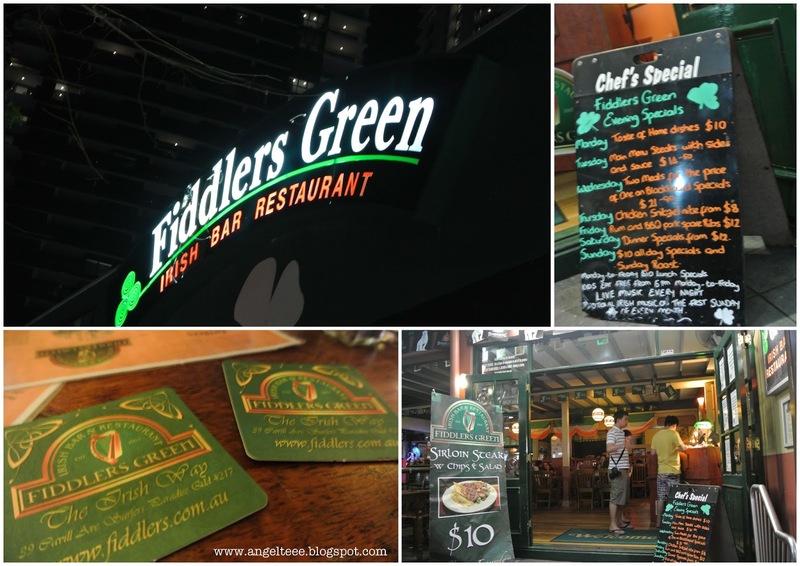 The Fiddler's Green Irish Bar, like Toscani's, was a gem we accidentally bumped into. We were actually targeting the Japanese restaurant right across it which unfortunately closed early on that day. We got intrigued by the bar and decided right away to eat there! They had live entertainment serenading us while we had our fill. Another plus thing is that they have promotions which vary day-to-day and that night, we had steaks for a steal - at AUD 10 each! 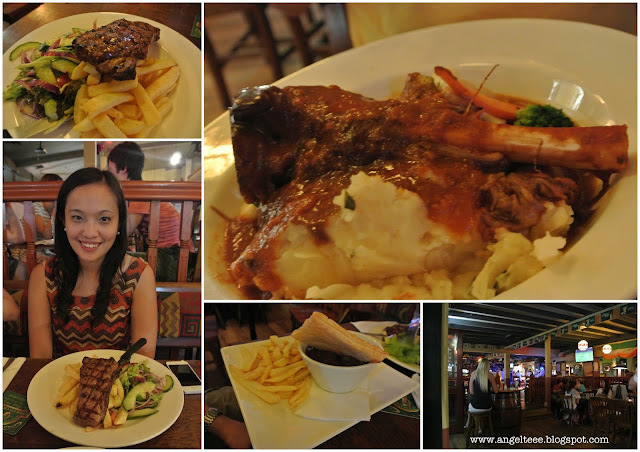 Counter-clockwise from top left: Sirlion steak with chips and salad, lamb shank and mashed potato, beef stew.